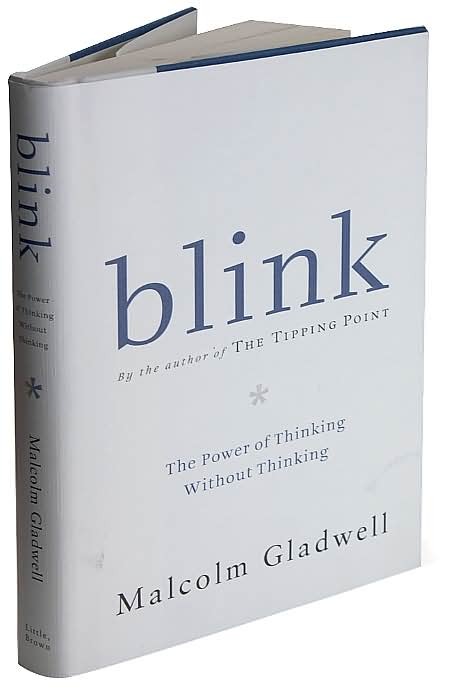 I wanted to start this review by using a quote from Malcolm Gladwell’s interesting and fascinating book, Blink. Mr. Gladwell has become a pop culture phenomenon with this book and his previous bestseller, The Tipping Point. Moreover, I received this book as a gift last Christmas and it had been sitting on my shelf since that time. Now, I thought it was right time to read it. I should have read this book sooner! Anyway, the quote I used for the opening describes Mr. Gladwell’s theory for the book. Can we make better decisions from our snap judgements? If so, when it is the appropriate time or situation to use our snap judgment ability? Or should use a rational, well thought out analysis approach in our decision-making? Mr. Gladwell shows both the pro and con in using snap judgments in making decisions from examples like Coke vs. Pepsi, an Art Dealer discovering a rare painting to being a fake, Speed Dating, a musician named Kenna, whom everyone loves when they hear him sing but has not become a pop sensation. Moreover, one of the more fascinating parts of the book when he writes about bias. One example reveals how a Chicago Car Dealership sold cars to White Men, White Women, Black Men, and Black Women differently. Another example deals with police brutality with the Amadou Diallo case in New York from a few years ago. However, Gladwell doesn’t use stereotypical arguments about the issue of bias. But, believes there is a deeper, unconscious element to our biases vis-a-vis our snap judgments. And when the senses are heightened, we inevitably fall back on our deepest images and views of what we learned about people even if we don’t believe it in our conscious mind. Gladwell writes in an accessible style that doesn’t make Blink feel scholarly or a book that came from the Ivory Tower. I highly recommend this book if you want to learn more about how to make better decisions, noticing the smallest details around you, and the amazing power of the brain and the unconscious.